Fr. 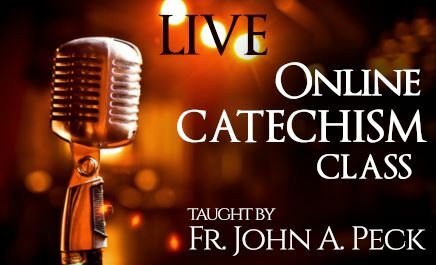 John Peck leads an Online Catechism Classes which you can participate in. Classes are taught LIVE, and each class is a live presentation of the topic, allowing for live question, answers, and interactive discussion. Topics rotate through 20 LIVE lessons, so get in as soon as you can! This online class meets weekly on Tuesday nights at 7 pm (Arizona time). Go HERE to sign up now. It’s $25/month (or a little over $100 for the whole group of 20 lessons). If you are impatient, or just really hungry to learn, you can also get instant access to all past class recordings for $35/month (the next tier of support). The Online Catechism Class is intended for those who have already been through the New Member Class. 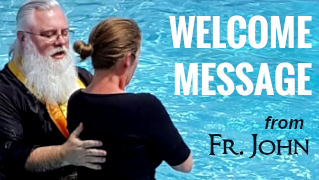 If you have not attended or participated in a New Member Class, you should get in touch with Fr. John to make arrangements to attend one. Go HERE to sign up for the $25/month tier and join the class! Topics rotate through 20 lessons. My formation as a catechumen wasn’t very thorough? May I join and learn? Of course. We know that not everyone has the same accessibility to good instruction, and this class will fill in any gaps you had in your catechumenate. I have no Orthodox Church near me, but still would like to learn? May I join? Yes, this class is LIVE and online, designed specifically for folks like you. What if I’m already Orthodox? May I take the class? Yes, anyone who is already in the Church, but would like to participate in a LIVE online discussion of theological topics is welcome to join us! What if I miss a class or come in after the first class? What do I do? Just keep attending – we cycle through 20 different lessons, and once the last lesson is given, the first lesson is given again. OR you can move up a tier in support and access all prerecorded classes and the downloadable notes at your leisure. It’s up to you, but you won’t miss a thing. Is this supposed to take the place of a parish? No, of course not. 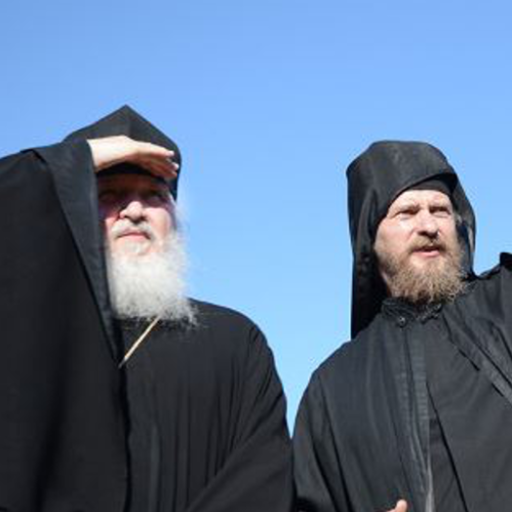 Orthodox Christianity is a living faith, and you get it from living persons by being connected to a local, living parish; but if you do not have a local parish, or you’d like to learn more about your faith, or get some specific answers that you aren’t getting answered, this class is for you. There is NO SUBSTITUTE for active parish membership by believing Christians. What is the “New Member” class? Why is it a prerequisite? Ronda, the New Member Class is a prelude to the Catechumen Class. You are, of course, both welcome to attend. If she needs to have the New Member Class, go ahead and join the Online Catechumen Class and we will schedule her New Member Class right away (no charge). Hello, I am English living in Britain And also a patient in hospital. I was talking to a young lady whom I thought was lovely and I sayin I didn’t believe in God. She then spent somt time telling me that she ha tried different religions and decided that she like the Greek orthodox Church. I would like to add that this young lady is Greek. I promised her that I would go to the Church in Essex England, health permittting. I was brought up a Catholic but when I was about 30 I stopped believing because to my mind you can’t get married in church if divorced but can later have the marriage blessed, precisely what my former husband did. I’ve become a person I no longer like, my children are not really happy albeit they are now 39 and 44 years old. Can you help me, are these blessings the same as the Catholics that seems hypocritical. Thank you for the anticipation of a reply from yourselves regarding what I hope to achieve. I am now 70 yeas old and chronically ill so I may not have too long. Mary, check your email, and let’s get you in touch with a local Orthodox priest as soon as possible. After this class will we receive a certificate or something similar? 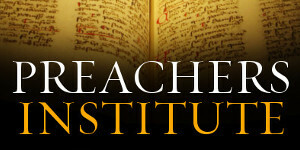 I’m currently am stationed overseas and would like to take this class and then be baptized when I return to the states. Michael, for overseas students a certificate will be issued with a letter stating the material covered. Why is there a charge for the online class for. Jesus never charged for tbe message of God. Because it is instruction, not the preaching of the Gospel. Also, the Online Catechism Class, which I have held for free for many years for folks all over the world, requires resources. It is free for anyone who is an inquirer or member of my parish OR any of our satellite missions. For others, in order to support the cost, I charge a nominal fee. If you don’t like that, go to your local Orthodox church, and get involved in their catechism. It’s free there, just as it is here at our parish. 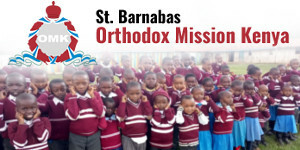 But for those who cannot, or do not have access to a local catechism program, this is tinier than a a tithe, and local Orthodox parishes will receive the benefits of new members. 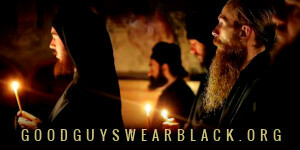 I am an Australian woman interested in Orthodoxy. I was baptised Catholic and received all my sacraments however was never really brought up in the Church. Now that I have come back to faith and Catholicism, I’m finding that I’m more Orthodox Catholic in my spirituality than Roman Catholic. I’m also a little confused about which Orthodox Church I should belong to as I am not Greek nor Egyptian. I do come from a Slavic background but only learnt English growing up. Should I look into a Slavic Orthodox Church or does it really not matter? Also I am in regional/country NSW in Australia, therefore the nearest Orthodox Church would probably be 3-4hours away from me. Is it still possible for me to become Orthodox? Yes it is possible. The best thing is to find the nearest Church to you, and then enroll in our LIVE Online Catechism Class if you can.